Back on March 21st, 2007, I was just trying to learn about blogging while looking for a job in Israel. If you had told me I'd be blogging 11 years later, I would never have believed you. I didn't even like writing back then! It's been a long journey with many ups and downs (thankfully, more of the former) and a lot of fun. Many other job search and career blogs have come and gone, but I feel good that we'll be right back celebrating birthday #12 a year from now. 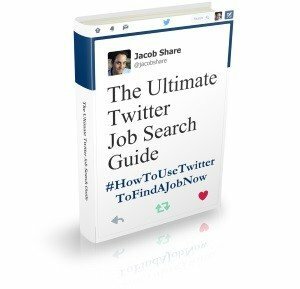 Job seekers are still job seeking, and I still have a lot to share (pun intended). I'll start off with a personal highlight – my son Yoav was born just over a month ago. If you've been following JobMob for a few years, you might notice that Yoav was born just over two years after my wife miscarried. That fact had us a little more worried than usual throughout the pregnancy, and the related extra attention from doctors wasn't always a relief either, even if they were doing it for the best. Thankfully, the pregnancy went very well and Yoav is completely healthy and everyone at home can't get enough of him. This past fall, I quietly upgraded JobMob to a customized version of Thrive Themes‘ Rise theme. The new theme is faster, more lightweight, scales better on smaller screens and provides a number of behind-the-scenes features that make blogging easier. What began as an under-the-radar experiment a few years ago has blossomed into a program with more than 1,800 members. The free JobMob Insider program gives you access to exclusive job search resources, downloads, PDF versions of articles, and more. For example, I've recently begun doing video Q&A sessions for members. JobMob was mentioned on major websites such as NBCNews.com, Dice.com, Spanish newspaper ElConfidencial.com, and more. Thank you for 11 terrific years. Thank you for reading and sharing JobMob articles with others. Thank you for voting in polls, commenting, asking questions and sending over feedback of all kinds, especially constructive criticism. Thank you for contributing whenever I've asked, such as sending in quotes for articles. And thank you to all JobMob sponsors, whose support really does make JobMob possible. What would you like to see on JobMob in the coming year? 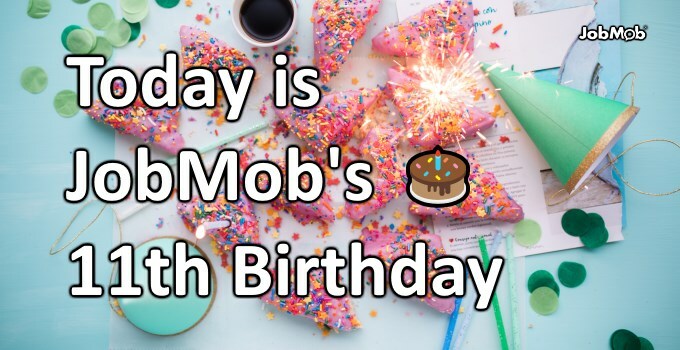 Tell us in the comments, or just wish JobMob a Happy Birthday. I get a little overwhelmed by “20 ways…” or “30 funny…” articles. I’d be more likely to read if it was 5, or 10. But congratulations on everything, happy birthday Jobmob & many happy returns! Happy 11th Birthday JobMob and congratulations Jacob on JobMob’s continued success (and congratulations on your adorable new son Yoav)! 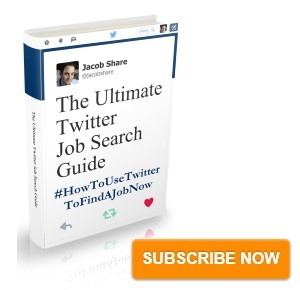 I also enjoyed reading about the history of JobMob – thank you for that! I think it would be nice if you did webinars or videos on the subjects of your blogs, I.e., 7 Ways to Speed Up Your Job Search Results,” as they are loaded with good information, and maybe one of the career experts you mention in that particular blog could be your guest and both of you could do a question and answer segment – just my thoughts! Thanks Linda, for the wishes and congrats, and also for your suggestions. Video is something I’ve been toying with behind the scenes for a while. When I hurt my back last summer, I spent a lot of time watching and learning from youtube experts with the idea of launching my own channel sooner than later. Actually, the JobMob Insider video Q&A sessions are my first videos so far, but your ideas are all good and something I’m getting ready to produce. Webinars are also something I’ve had on my mind. Congratulations! Time for another beer in Ashdod?